The General Regulation of the International Exhibition “Climatherm-Energy” has been drawn up pursuant to the terms and instructions of the organizer and the exhibition center for the smooth operation and organization of the exhibition. It is an inextricable part of the “Registration Form” which by signing, you fully accept the instruction and terms included. The goal once again is to confirm its massive reputation and attract tens of thousands of professional visitors, operating as the most effective commercial forum but also as a platform for innovative developments. 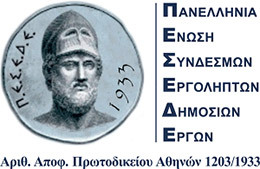 From 21 to 23 of February, 2020 in International Exhibition Centre standards Athens Metropolitan Expo.